If you weren’t lucky enough to catch Marvel Studios’ Black Panther in theaters then you are in luck! On May 8, Black Panther will be available digitally in HD and on 4K Ultra HD as well as Movies Anywhere. That’s less than a month away! If you prefer waiting for the physical copy, you can pick it up a week later on May 15 on 4K Ultra HD, Blu-ray, and DVD. Marvel Studios’ Black Panther became the runaway hit of 2018 making over $650 million domestically and $1.3 billion worldwide placing it in the top 10 of all time. In fact, Black Panther was the first movie in eight years to spend five weeks at number one. If you haven’t seen Black Panther we won’t spoil it for you, but if you have seen it then check out our spoiler filled review on DIS POP! 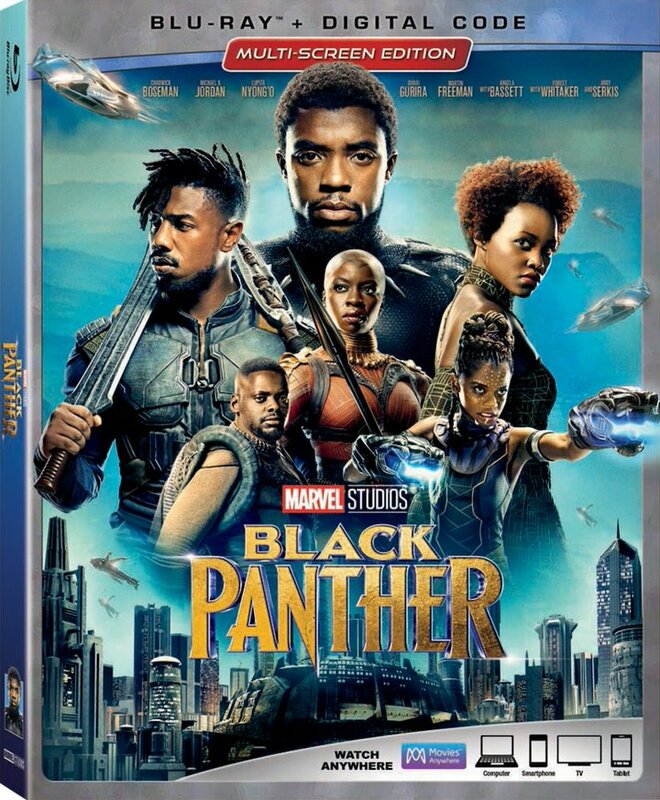 Black Panther will be packaged multiple ways – the Multiscreen Edition includes a Blu-ray disc and a digital copy, and the 4K UHD Collector’s Edition includes a 4K Ultra HD disc with Dolby Vision and Dolby Atmos, a Blu-ray disc and a digital copy. Make sure you pick up Black Panther digitally on May 8 or on 4K Ultra HD, Blu-ray, DVD, and On-Demand on May 15!